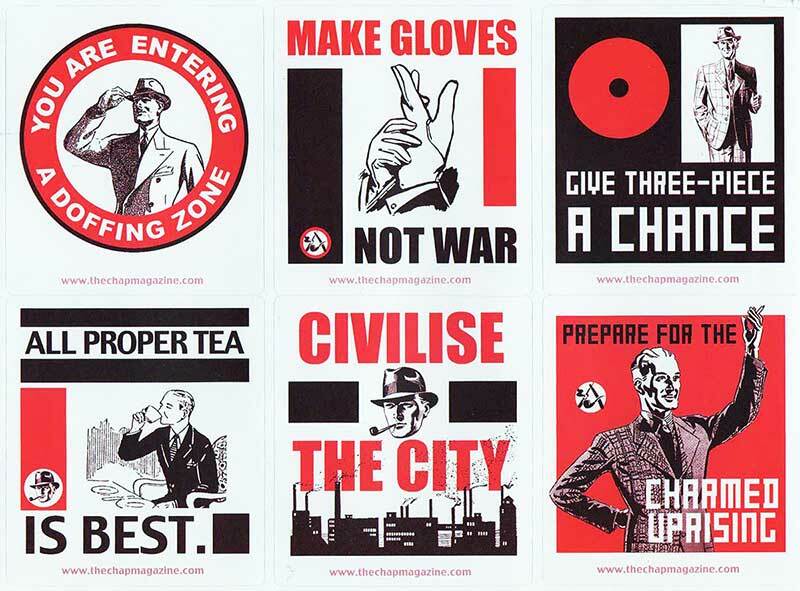 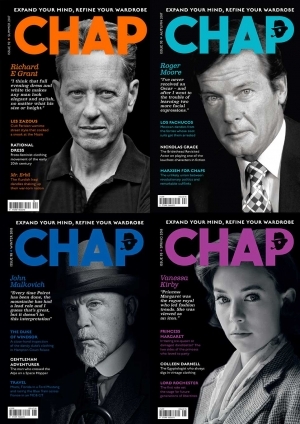 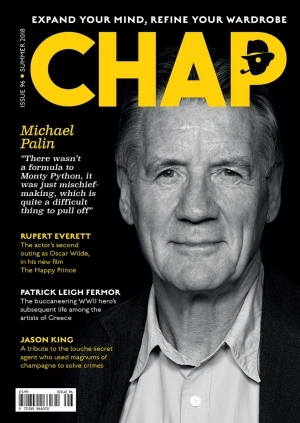 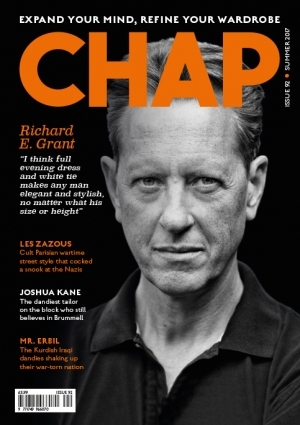 A collection of Chap back issues charting the history of the publication from as far back as 2003 with issue 19 – which comes with a set of stickers publicising our Civilise the City Protest in October 2003. 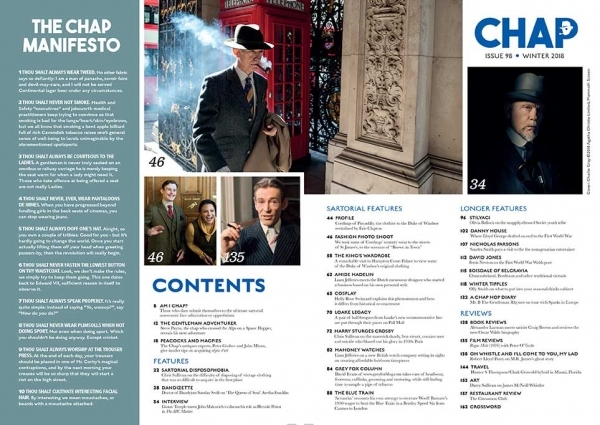 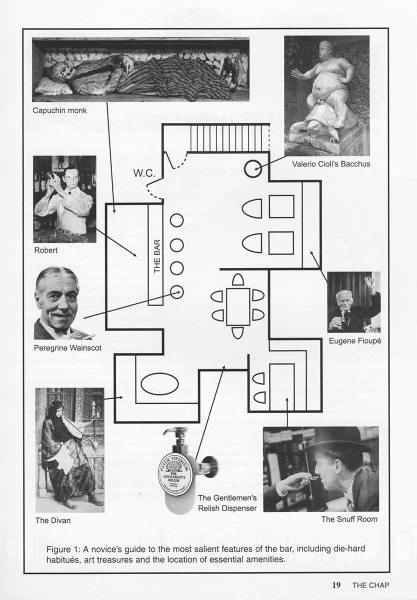 Each subsequent redesign is represented, from issue 53 – Summer 2011 – with features on Robin Hood, Bond villains, Teddy Girls, Mark Powell and how to rob a casino. 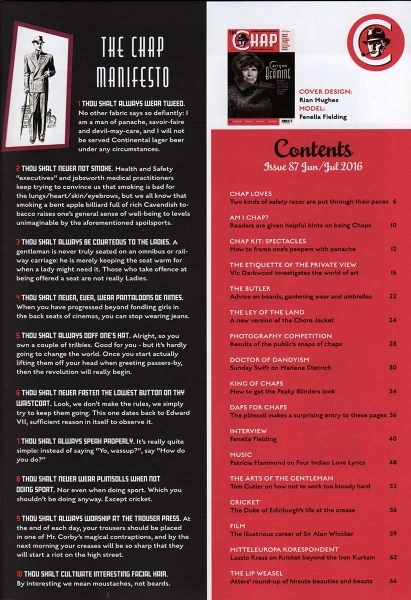 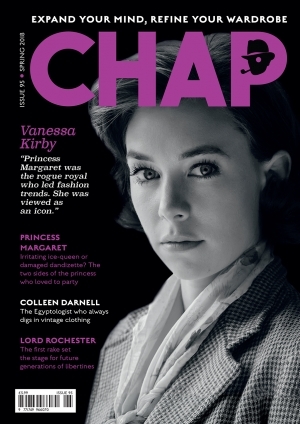 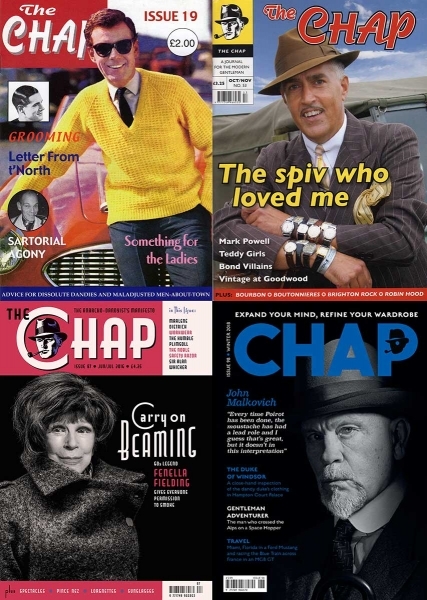 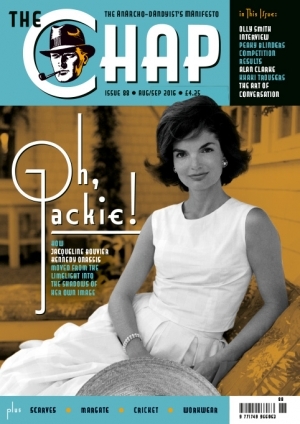 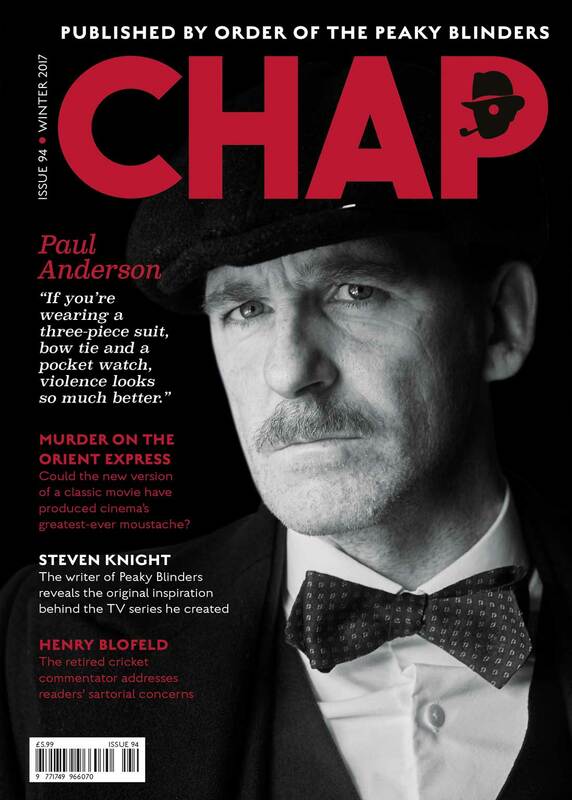 Issue 87 – June 2016 – features the last-ever interview with Fenella Fielding, Workwear, Marlene Dietrich and Sir Alan Whicker. 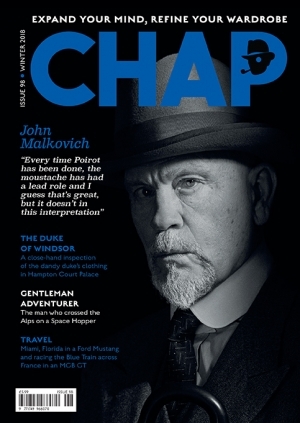 The collection is completed by issue 98, Winter 2018, with John Malkovich.